Rep. Chris Smith (R-NJ), co-chair of the Congressional-Executive Commission on China, today introduced bipartisan legislation condemning the internment of over a million Uyghurs and other Turkic Muslim ethnic minorities in China’s Xinjiang Uyghur Autonomous Region, and calling for an end to arbitrary detention, torture, and forced renunciation of faith occurring in the region. 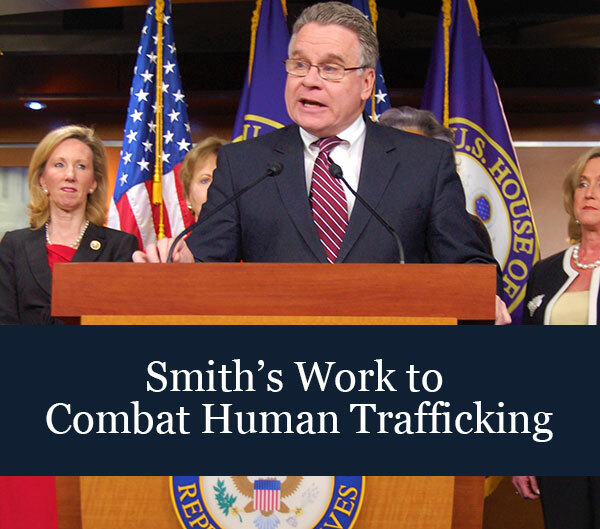 Smith was joined on the legislation by lead Democratic cosponsor Rep. Thomas Suozzi (D-NY) and eight other Members of Congress. Calls on the Secretary of State to submit an interagency report assessing the number of persons detained in re-education camps, the conditions in those camps, the number of those arbitrarily detained, the situation of press freedom and the gross violations of other universally recognized rights, and repressive surveillance methods used by authorities in the region. Additional original cosponsors of the legislation include Reps. Michael McCaul (R-TX), Marcy Kaptur (D-OH), Steve Chabot (R-OH), Brad Sherman (D-CA), Barbara Comstock (R-VA), Gerry Connolly (D-VA), Randy Hultgren (R-IL), and Jim McGovern (D-MA). The bill is the House analogue to a Senate bill introduced by Sens. Marco Rubio (R-FL) and Bob Menendez (D-NJ).